Traumatic brain injury has gotten much attention lately because of professional and school sports and the number of incidents of concussions. As Barrie injury lawyers, we often see clients who are suffering from the results of traumatic brain injuries. Over the past year, researchers in London, ON have developed a blood test that they say has a 90% accuracy rating to identify a concussion. This can have incredible repercussions in the way that concussions are diagnosed. A concussion is one type of brain injury that is caused by a blow or jolt to the head or body. This blow can result in the brain bouncing or twisting inside the skull. Concussions can cause damage to brain cells and result in chemical changes inside the brain. There are many long-term effects of this kind of trauma which, at times, can even be fatal. Up until now, the medical community has only had symptoms and imaging technology to go by when trying to diagnose concussions. Symptoms are often subtle and often do not show up right away which meant that concussions were often going undiagnosed and untreated creating long-term impairment in some cases. Symptoms were often as innocuous as headaches, nausea, confusion, fatigue, or vomiting which could be symptoms for a variety of other conditions. But today a single drop of blood could be the answer to diagnosing the presence of a traumatic brain injury. This blood test focuses on levels of certain metabolites that are present in the blood. Metabolites are a waste product generated by the human body. It carries with it a set of chemical indicators that can tell doctors what is happening in the human body at any given time. The researchers tested a series of 174 metabolites to look at the whole picture of what happened after an injury. “We were very pleasantly surprised to find out that the pattern of change for 174 metabolites was really quite dramatic after an injury,” said Dr. Douglas Fraser, the lead researcher of the project. At this time, the cost of the test is only about $100 and is anticipated to get as low as $40 which would make it as affordable as most other blood tests available today. This test holds promise for victims of brain injuries. In the past, it was difficult to diagnose and prove brain injuries as so many symptoms were subjective. This accurate test could offer a huge benefit for sufferers of traumatic brain injuries. When you have suffered a brain injury as the result of an accident, help is available. Call a personal injury lawyer in Barrie to understand how your rights can be protected. 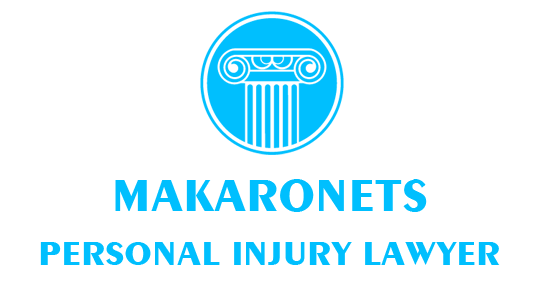 The legal experts at Makaronets Law are glad to speak with you during a no-cost consultation to discuss your legal options.